I got involved in quite a heavy Facebook debate yesterday where lots of people were pitching in with their penny worth of opinions, me included. What I found apparent was that there was a lot of confusion surrounding arguments that are more complex than they should ever be. In fact I got so confused I mistook the UN for NATO with regards to a Russian veto on the arrest of the Salisbury Novichok suspects. For a good example of how normal people are confused, there is an indisputable rise in nationalism and populism across Europe and indeed the globe, but many people still believe this is not the case and commentators on the subject are either paranoid or unpatriotic loony lefties. Worse still, some people who appear otherwise normal, think an extreme right-wing ideology can’t come soon enough. 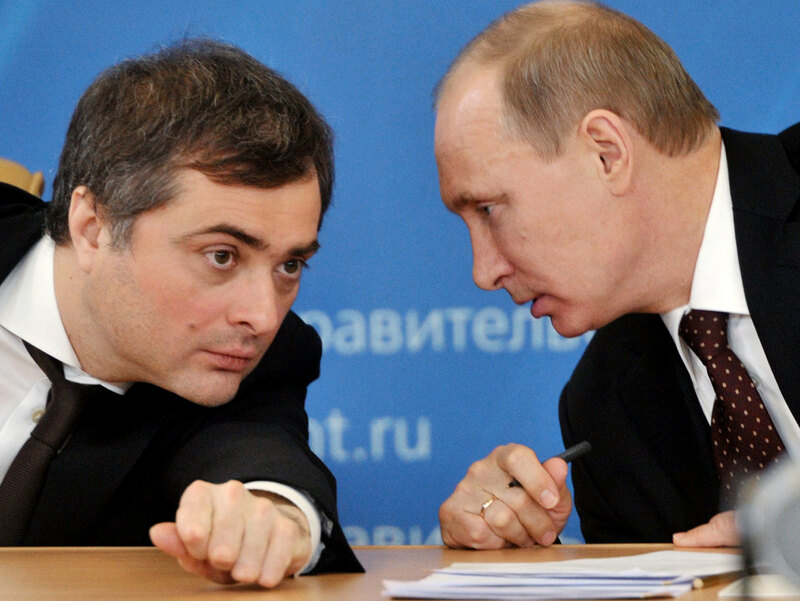 That’s very intriguing and I am becoming more and more certain that Vladislav Surkov’s ideology of non-linear warfare has infiltrated political systems across Europe and America with the master plan being to destabilise and break up the EU, a 28-nation bloc that Putin has long despised for obvious geopolitical reasons. That sounds a bit preposterous and along the realms of implausibility but what is so clever about Surkov and non-linear warfare is that everyone ends up in such a state of confusion, apathy just sets in. For me, a brilliant example of something being so obvious and damaging it is implausible, is the right-wing agenda behind Britain exiting the European Union without a trade deal in place. Here is a list of media groups support a No Deal Brexit (including their offshore owners who do not pay tax in the UK). Now, you could argue that it is up to their own moral judgement whether they wish to pay corporation tax on UK profits, rather than legally invoicing their British based business for ‘services’ from, for example, the Cayman Islands. However, surely anyone can see that there is a certain irony in their ‘Forward with Britain’ headlines when they are bleeding the country they love, bone dry. That, and the fact the EU are bringing in strict legislation with regards to tax avoidance should be enough for anyone with an ounce of wit in their head to realise that their Brexit ‘No Deal’ agenda is for nothing other than self-serving purposes. The problem is that it is so bleeding obvious, that some people reading this will think that I am making it up and spreading fake news about the newspapers they adore. The Daily Mail is a classic example of middle England refusing to say a bad word about it, like it is a long-standing friend that can be trusted. All of these media outlets are linked with big business and are heavily tied in with politicians who are either on their payroll or associated with corporations who have a lot to gain from deregulation of health & safety, food standards and public services. Services such as the NHS that we all claim to adore with British pride. Deregulation will make a lot of these people ludicrously rich and even more in control of our political and geopolitical destiny and the people who will suffer are the workers or what we often describe as ‘the average man on the street’. Of course, the obvious assumption to make is that ‘the average man in the street’ will ultimately see through this ideology and vote the ruling far-right party out of power. However, by then, it will not be as easy as that, because voting boundaries will be shifted and there will be vigorous media campaigns to blame minority groups and the vulnerable for economic woes. This can be achieved by tapping into the Darwinian impulses in the human brain, targeting disabled people for being spongers, ethnic groups for being lazy benefit claimants and poor people for lacking the appetite for work. The Daily Mail do this already, targeting just one feckless family and carefully bracketing swathes of innocent folk as being the same, as if though it is an epidemic that can only be solved in the workhouse. The irony of all this, is that people at the bottom of the food chain have been convinced that a Brexit ‘No Deal’ will rescue them from the abyss when in fact, in an authoritarian state, after the ethnics, they are next in line as targets, along with those who dare oppose the regime. Judges are already being labelled as ‘Enemies of the State’ and ‘Traitors’ by Brexit supporting media outlets, so this in not as fanciful as it may seem. I hope that common sense prevails but everyone is now in such a state of confusion that it could all become very bloody and financially damaging before this latest populist uprising corrects itself and the rocky path to righteousness opens up once more. This is an interesting read from an a 93 year old Jewish man based in Israel. It is of course, just his opinion but a worthy one, and even if his fears prove unfounded, it is an important read. No Replies to "The Confusion Surrounding Nationalism"